Good morning, early birds. Former state premier turned Sky News commentator Kristina Keneally has put her hand up to take Dasher's Senate seat. Plus, Papua New Guinea turns up the heat on Australia. It's the news you need to know, with Chris Woods. Former New South Wales premier and unsuccessful Bennelong byelection candidate Kristina Keneally has publicly expressed interest in taking up the federal Labor Senate spot left vacant by Sam Dastyari. In what one Labor insider has described as a "shitfight," the The Sydney Morning Herald reports that Keneally put her hand up for the Labor Right spot after her two main rivals, Transport Workers' Union boss Tony Sheldon and United Voice union's Tara Moriarty, have seemingly dropped away. Have out-of-pocket costs for GP visits gone up 25% under the Coalition? Senator Kristina Keneally was broadly correct in her assertion, but it's important to understand the finer details. Hinch’s Senate Diary: the Greens have no hope of winning the Australia Day debate. Nor should they. Senator Derryn Hinch takes on the Change the Date debate in his first Senate Diary of 2018. 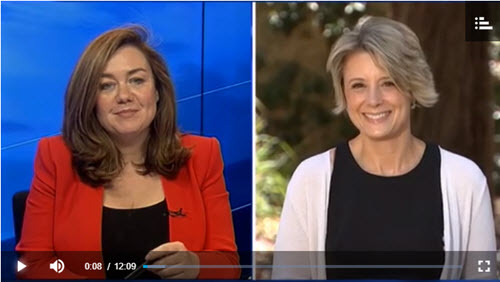 Sky News' Samantha Maiden and Bennelong candidate and former Sky presenter Kristina Keneally have faced off in a fiery interview on the network.